GHA’s free summer youth golf program provides an opportunity for children to learn and participate in a non-contact sport that they can continue to play the rest of their lives. The golf program will meet for four weeks on Mondays and Thursdays 6:00 – 7:00 p.m. at Quail Creek. Our goal is that the children who participate in the summer youth golfing program will develop a keen interest in the game and are challenged to increase their skills. We encourage them to develop a special bond with their teammates and the program mentors that will be valuable for the rest of their lives. Through this program, we hope to instill an interest in a safe and challenging sport that is deemed safe for them. 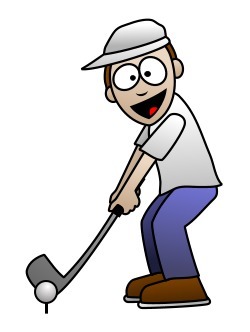 Golfing skills also open the door for many college scholarship programs. Contact info@gatewayhemophilia.org if you are interested in participating or have any questions!